If it’s not one thing with these chickens, it’s another. 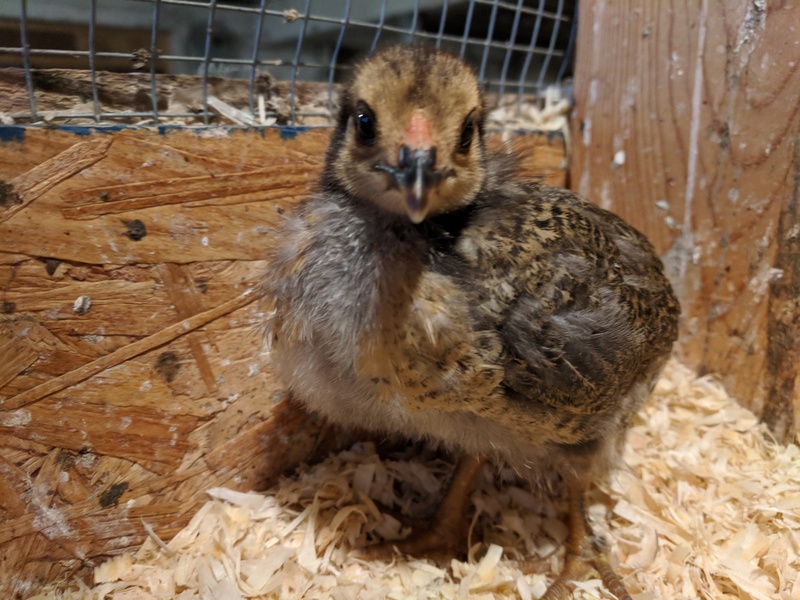 And this is shaping up to be a busy week for my little flock of 40. 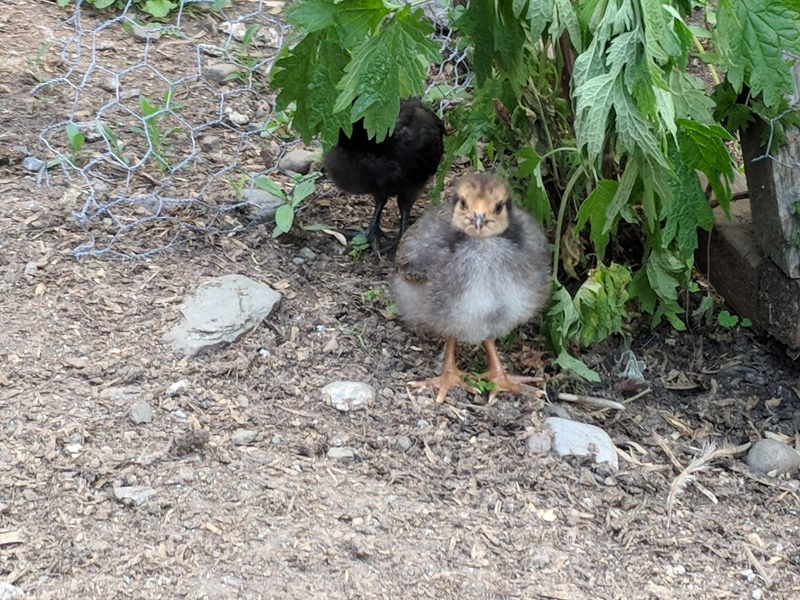 A few weeks ago, I had two broody hens. Claire, one of my veteran broody’s from last year, and Tweety, my small Buff Orpington and a new broody. 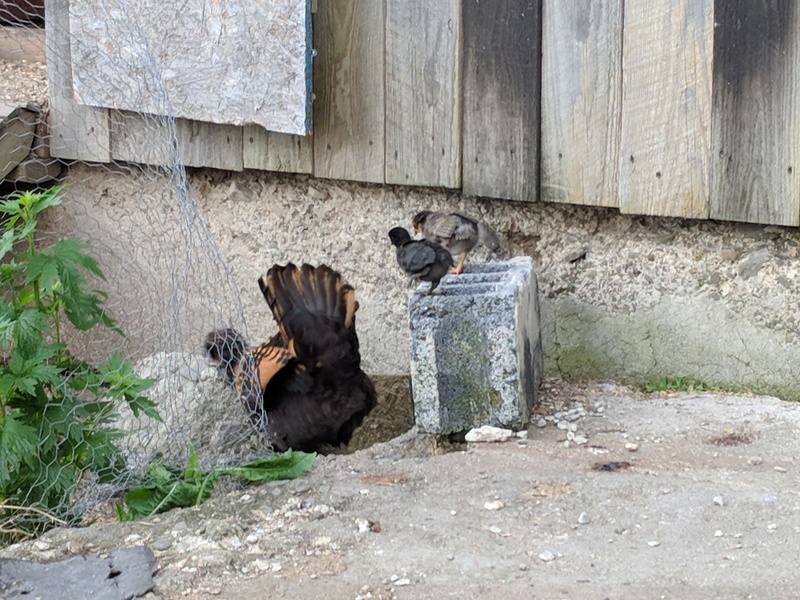 I gave them each 3 eggs. 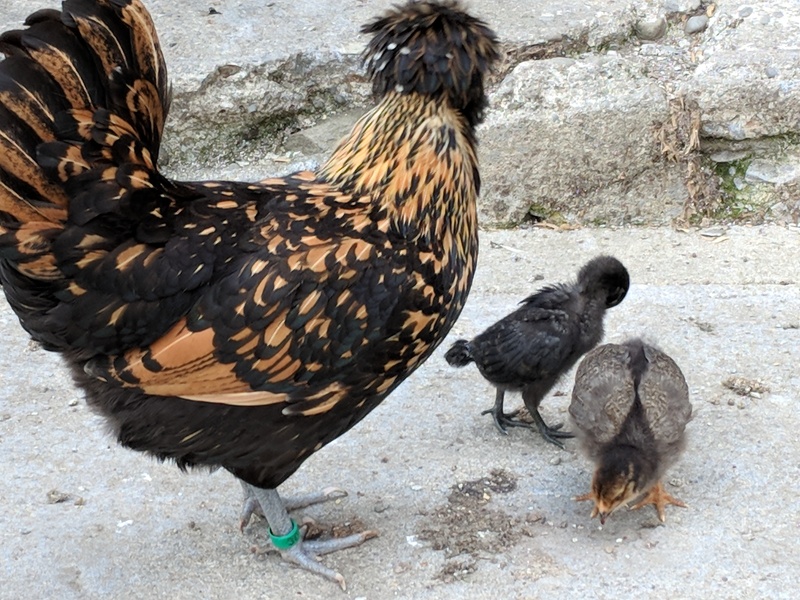 Claire, some barred rocks, and Tweety, some Buff Brahma’s. And then a week after I gave them their eggs, went into the hospital for my surgery and have been limited to light duty. Somewhere in there, no one candled the eggs to see what was going on. 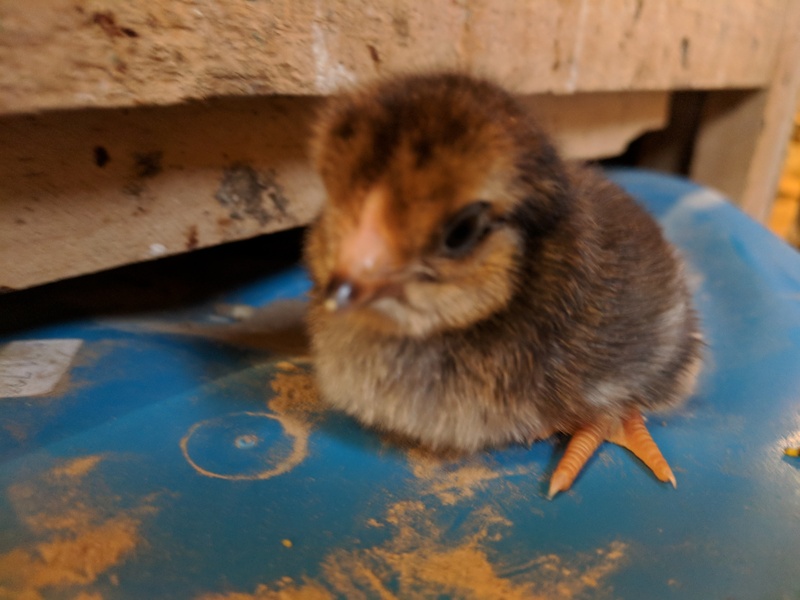 Today is Hatch Day, and it is nail biting all the way around because I don’t know if any of the eggs (except this one, obviously) will hatch. 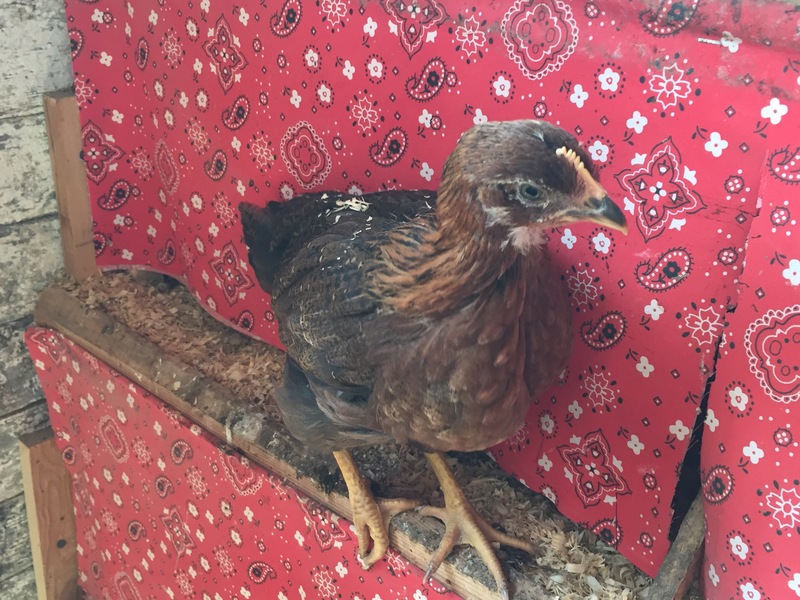 None of Claire’s eggs have hatched yet, but yesterday, Tweety was blessed with this sweet little Brahma. 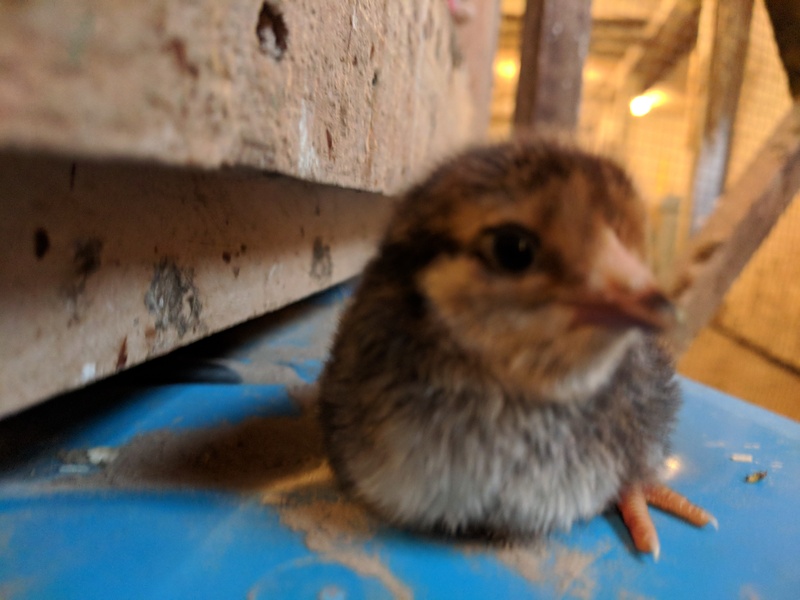 No other eggs have hatched, but neither hen seems ready to give up the nest, so I won’t let myself worry until Saturday morning. HOWEVER, the addition of a new little baby has brought out a different Worry, one which will have to be dealt with sooner rather than later. Rapunzel tried to attack Tweety’s baby, in a similar fashion to what she did with her own. She forced her way into Tweety’s nest and began going after the baby, lunging at it even when it was under Tweety. Both the kids and I removed her and she went back to try again. The last time, we put her in the Broody Jail, and there she is going to stay until DH comes home this weekend. 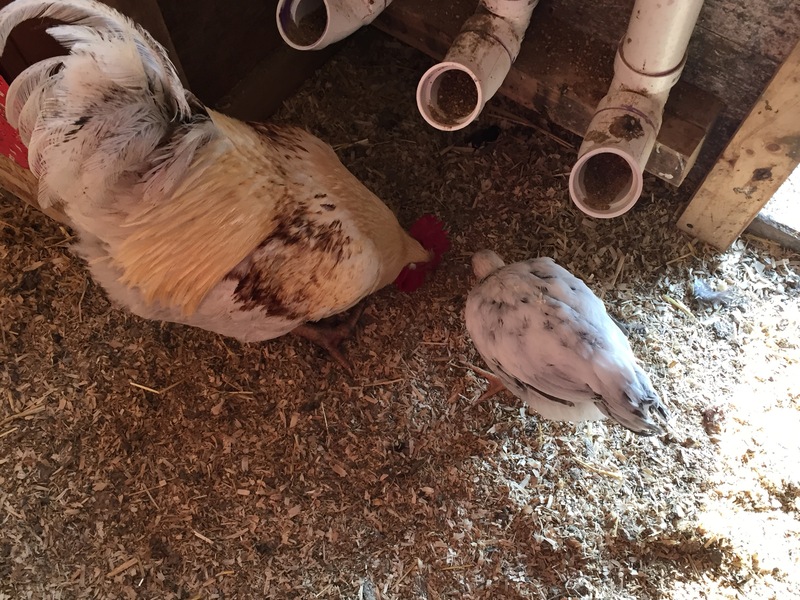 After that… well, I can’t have a hen who will attack and harm babies. If she was just doing this to her pwn babies, we wouldn’t give her eggs. But attacking other hens’ babies is an entirely different thing. It means no babies are safe. 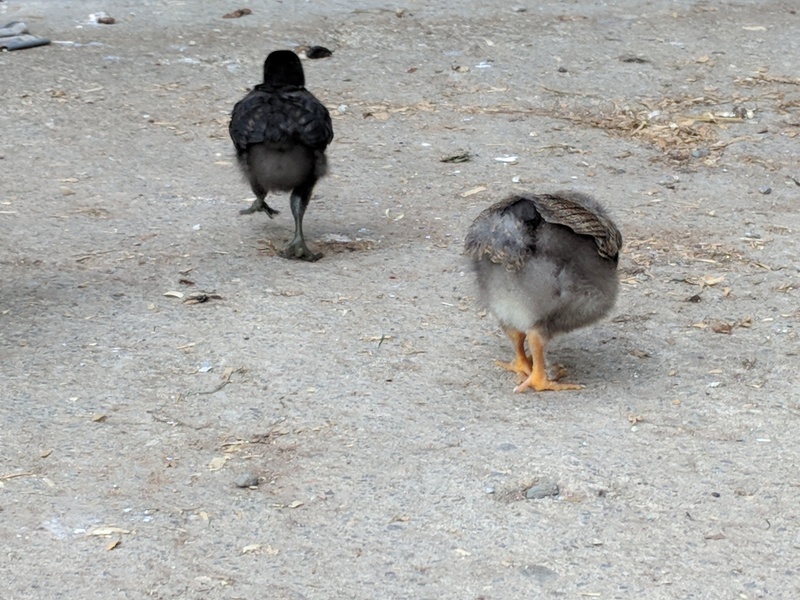 And right now, I have Claire and Tweety to worry about… plus Pavelle thinks she wants to go broody again is in a pre-broody stage right now. 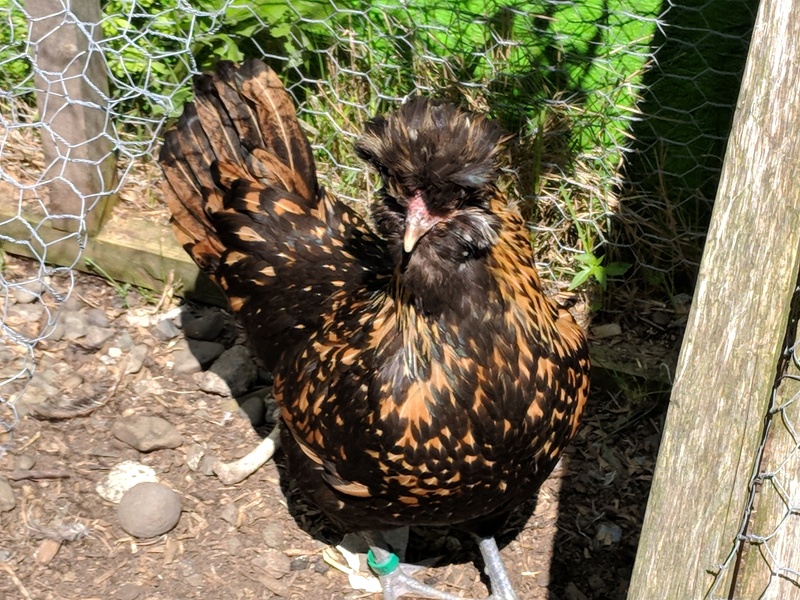 And Eugenie (Claire’s little snowball from last summer) is 98% definitely broody now, and will be worse by the time Rapunzel gets out of the Broody Jail this weekend. 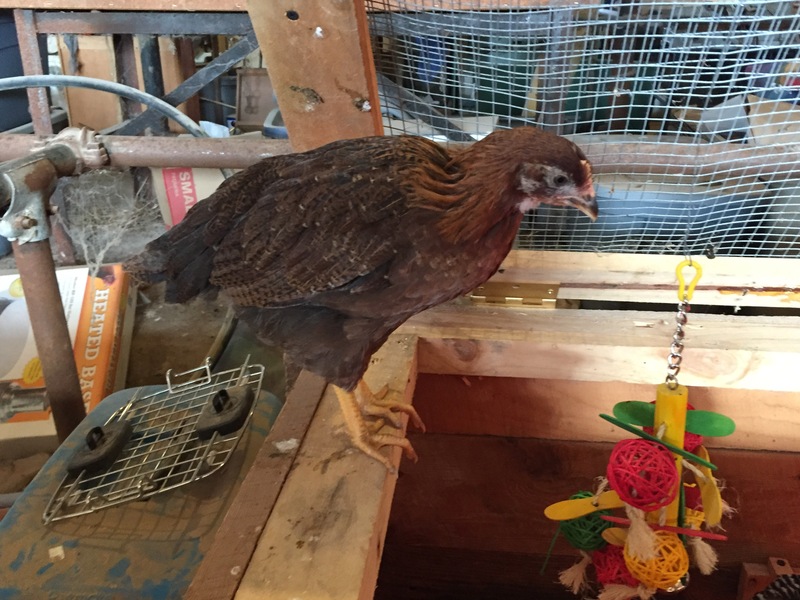 But Rapunzel will not be released back into the flock. I’ve made the decision that DH needs to send her to Freezer Camp. 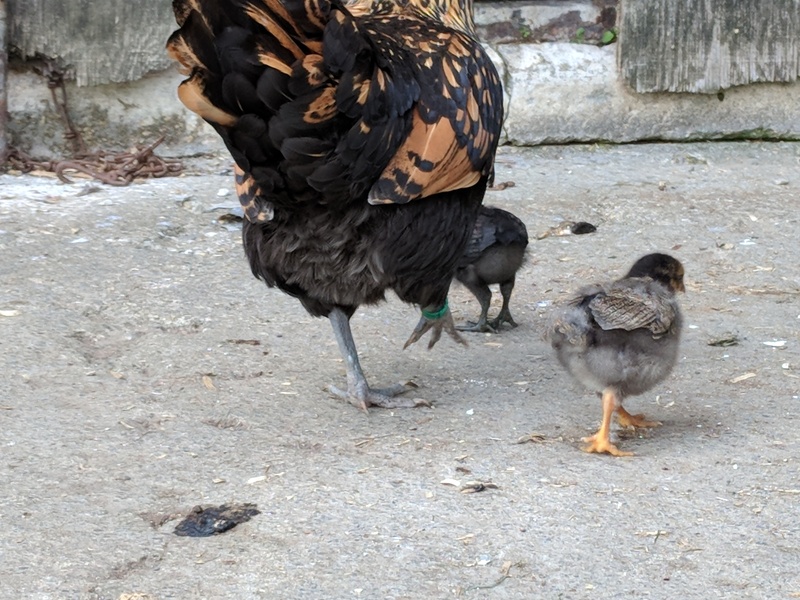 I can’t rehome her, because if anyone else tries to have chicks around her, or gives her eggs (Buff Orpington’s are supposed to be good broody mommas, after all) then she will do the same thing to them. I couldn’t ethically do that to some innocent person, so Freezer Camp is the only viable option. Chipmunk inside the coop, checking things out. Winnie meeting Dots. He was nice to her and offered her food. 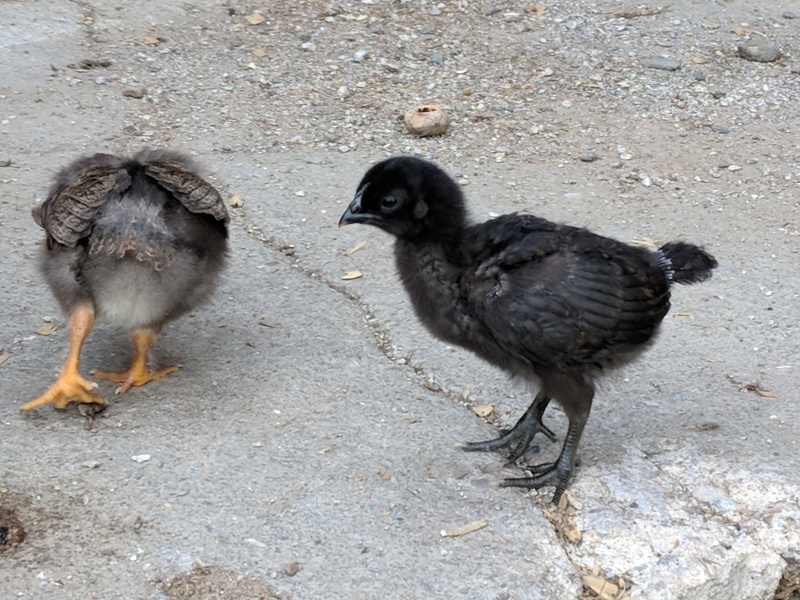 The babies in the brooder are 6 weeks old, and mostly feathered out. 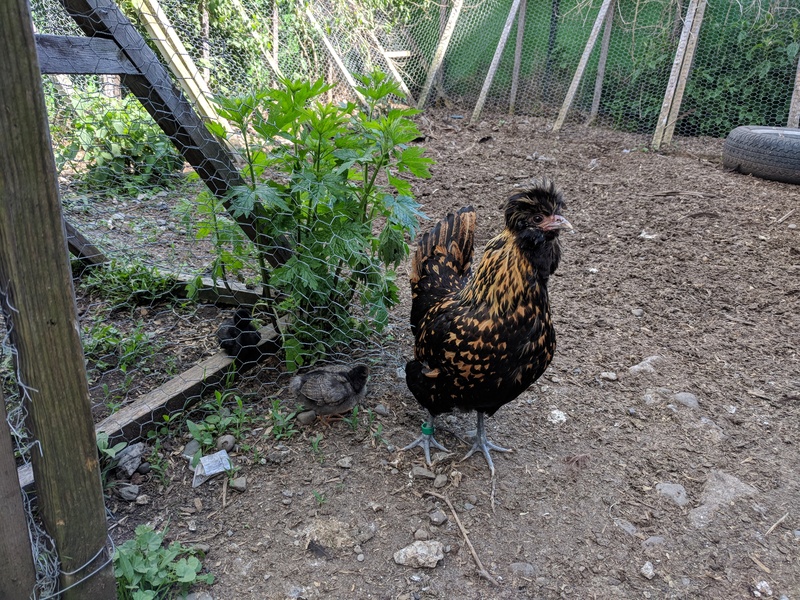 The Brahma,whom we have decided might be a hen are calling Rachel, Cutie and Grumpy and the only hold outs, but they have enough feathers to be okay. 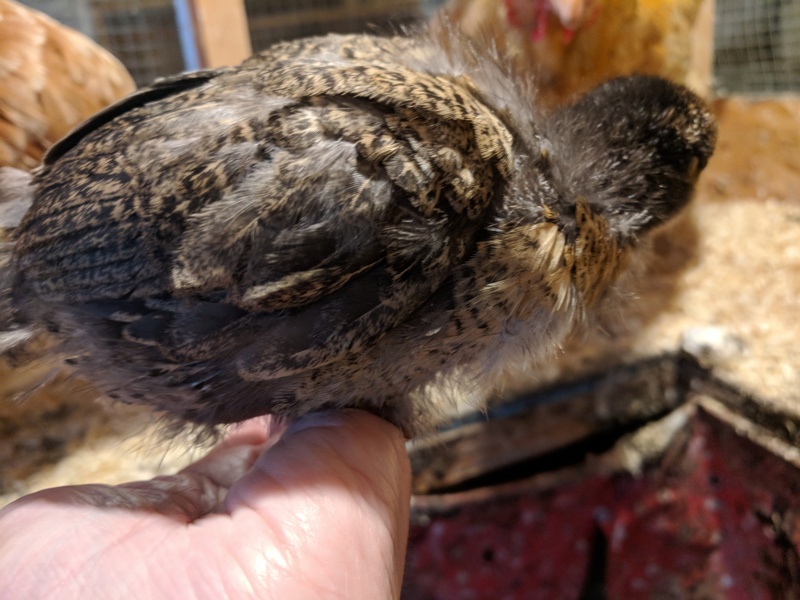 They don’t sleep under the brooder lamp anymore anyway, and also, they are all getting HUGE. 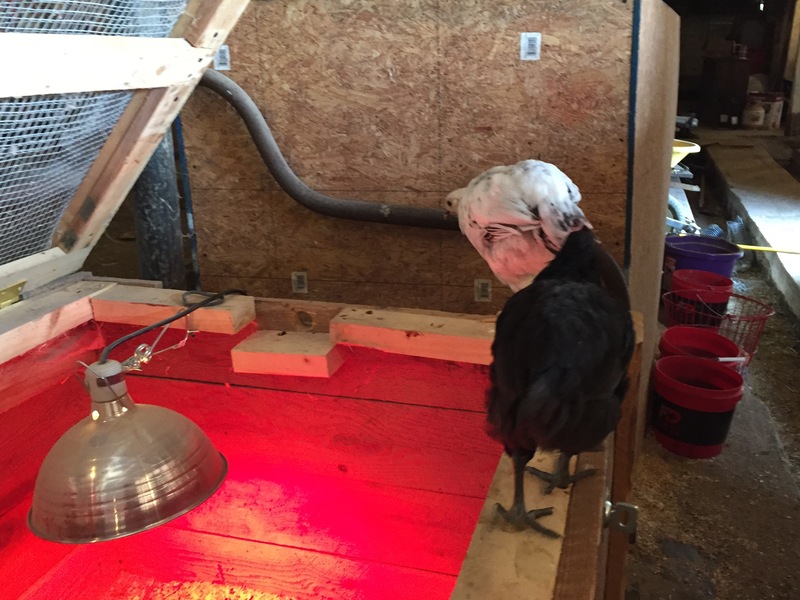 What you see in the above pictures represents their last day in the brooder box. It’s raining, so they didn’t go outside. 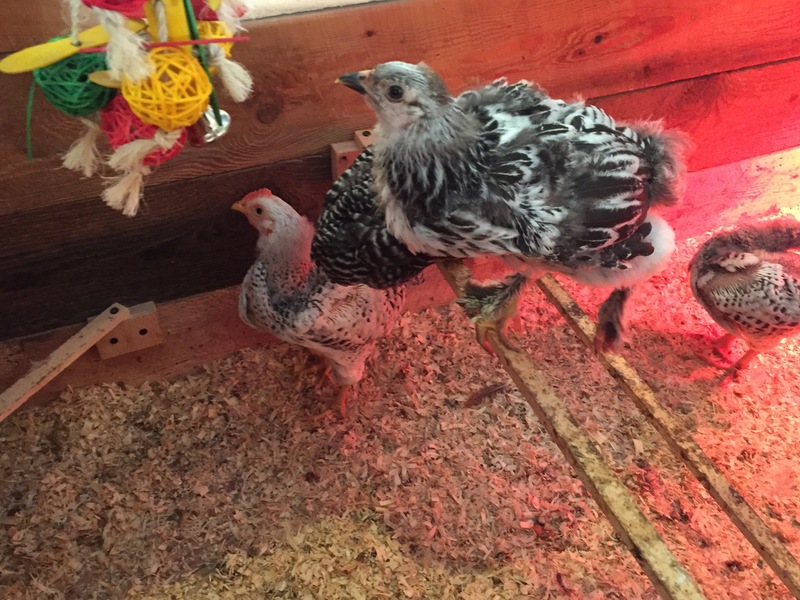 But tonight, after everyone is sleeping, the kids and I will sneak them into the coop and put them on roosts. When they way up Friday morning, they will be a part of the flock. As you can see,Dots already likes Winnie. He was very kind to her. I think it will go well. 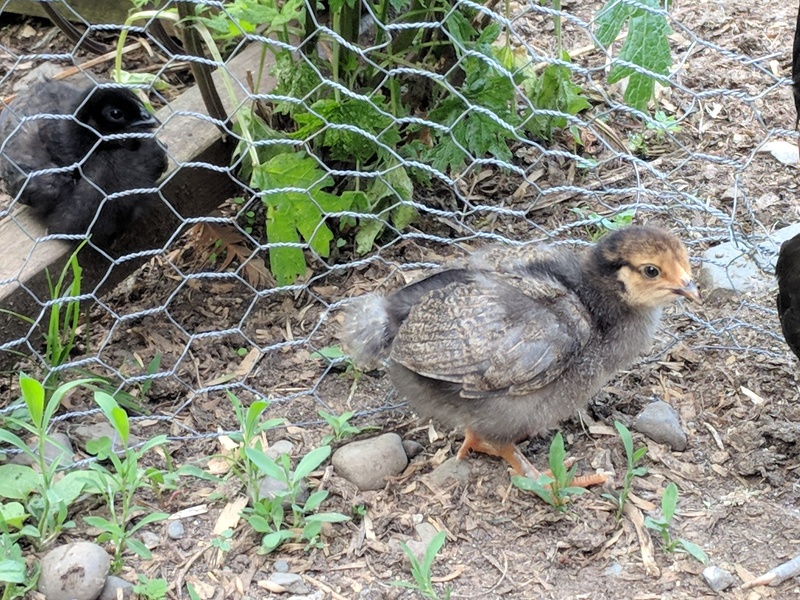 All of the nice days, the babies got to be int heir playpen and the rest of the flock got to see them and know they were there. It will be an adjustment, but it should work out fine. .